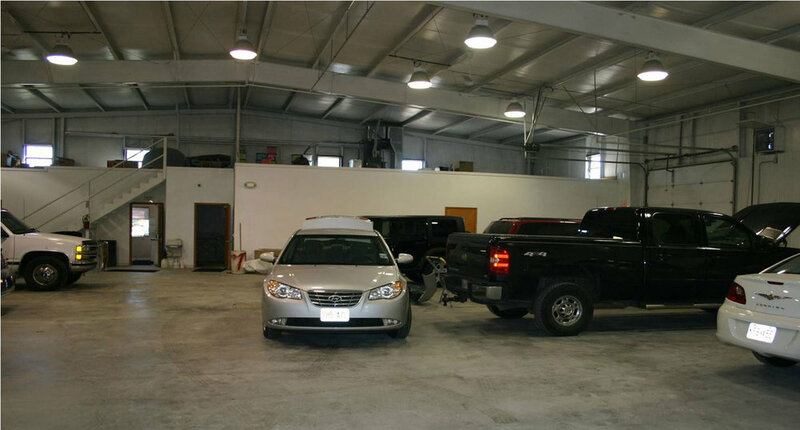 If you’re looking for high quality auto body repair and personal service, you have come to the right place. 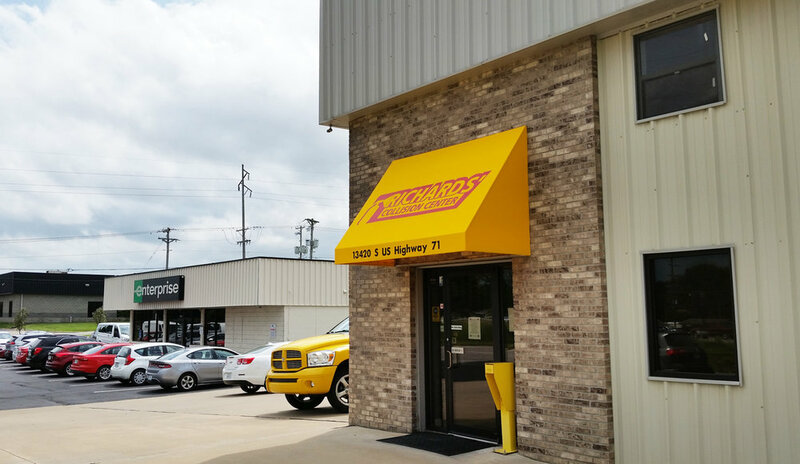 At Richards' Collision Center we’ll give you the attention and exceptional auto body shop service that our customers come to expect and enjoy. 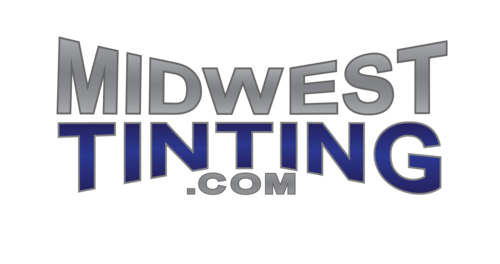 We offer the best in the auto body industry in complete auto body repair and refinishing. 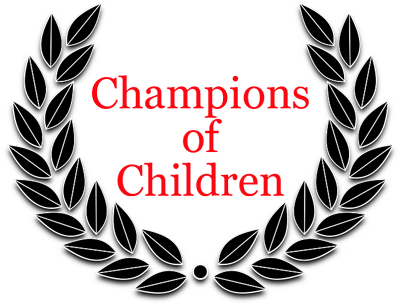 Superior quality servicing on all car and truck makes and models. We also specialize in auto hail damage repair and work directly with your insurance company. If you have received an insurance estimate based on photos that you sent to the insurance company of your auto body damage call us to be certain that you're receiving an accurate estimate and all that is owed to you. Allow Richards' Collision Center team to give you a FREE review of your insurance photo claim estimate. Call today to book an appointment: 816-767-0707. 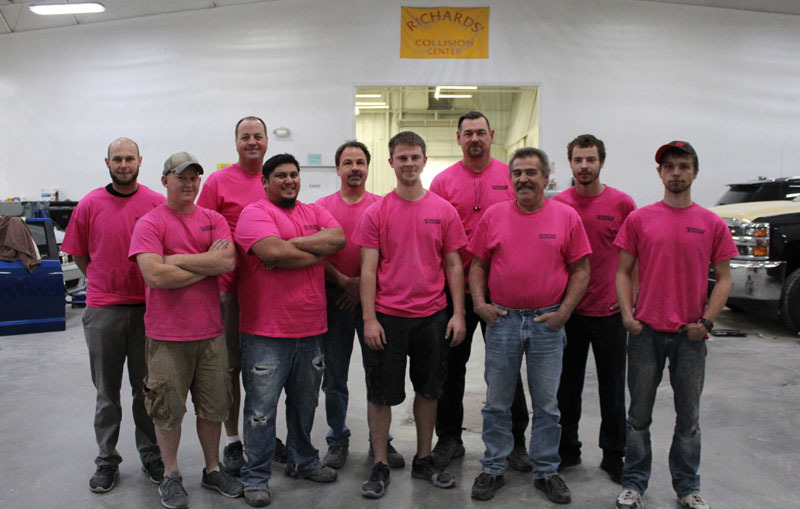 Richards' Collision Center serves the Kansas City Metropolitan area and has been located in Grandview since 1988. Stop by our body shop to request a free estimate at 13420 South US Highway 71 in Grandview, a 1/2 mile south of Main Street on the West Access Road. Let us put our many years of extensive auto body repair experience to work for you. 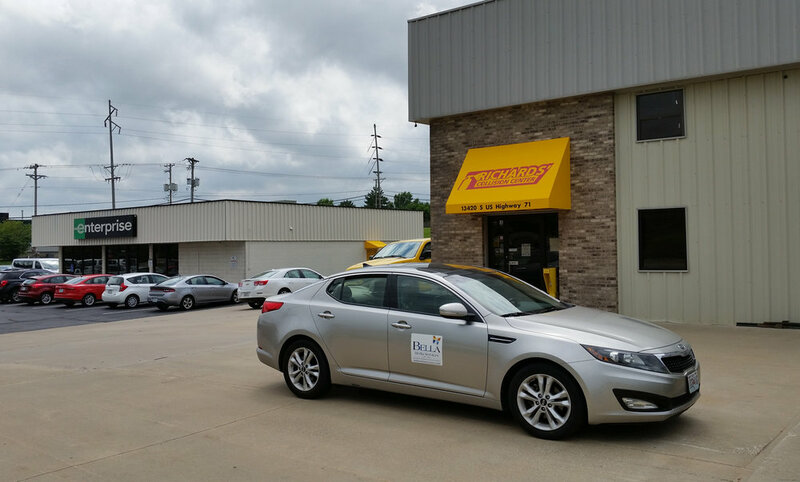 FREE Pickup & Delivery on Driveable Cars in the Kansas City Metropolitan Area!